We are looking for a training intern to join our Training Department. 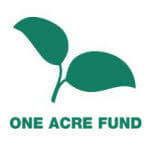 The Training Intern will report to the Training and Development Specialist at One Acre Fund Tanzania. Their primary role will be to coordinate and run technical skills and professional development trainings to our staff. The position also involves supporting day to day activities of the Training Department including preparation of training curriculums and materials, creating training calendars, attending weekly Team Meetings and perform duties as assigned by his/her manager. Assist in building training contents, curriculum and materials to respond to staff training needs. Take part in Department’s planning meetings and discussions and give out ideas and suggestions on how to improve staff training. Delivering Professional Development (PD) training to our staff using the OAF PD curriculum, tools and materials. Citizenship in TANZANIA – you will be asked to submit a copy of your passport biodata page or your national ID card.